Narration — The Q & A with A. P. C.
Andy Harris is an artist who works primarily in mixed-media collage. His work is created using hand-painted papers that he cuts and layers to form images such as houses, landscapes, weapons, tools, and food. 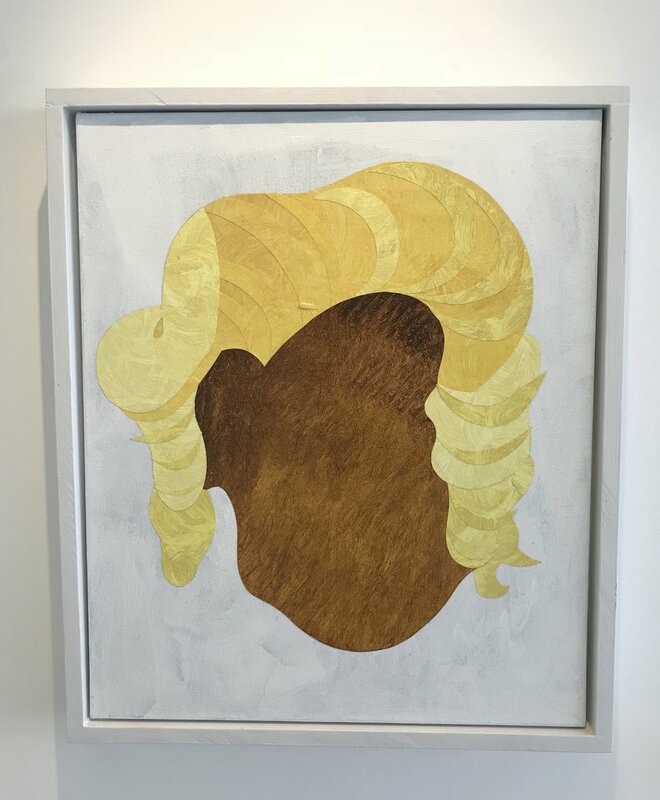 For this exhibition, Andy Harris sought personal stories, histories, and artifacts significant to Norfolk, Virginia that tell little-known stories about Michael Jackson, Marilyn Monroe, Elvis Presley, Harry Houdini, and more. 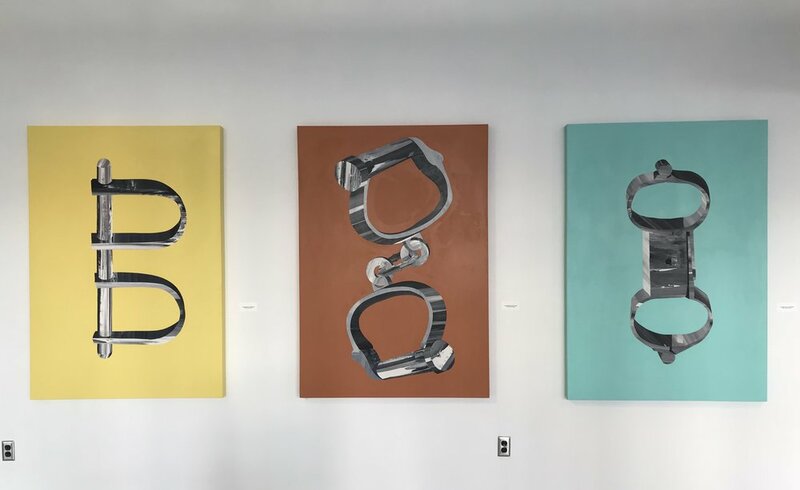 The exhibition ran from September 22, 2017 - November 9, 2017 at the OFFSITE Gallery, World Trade Center in Norfolk, Va.
Andrew Paul Cronin recorded an audio tour for "Neighborhood Watch." Scroll through the pictures and click on the links below to take a virtual tour of the exhibition.